Ford Mustangs have been called a “pillar of American automotive lore”, and referred to as the car that brought sporting dash and styling at a price almost anyone could afford. While the Mustang has never been considered an exotic car, it still has had a way of capturing the hearts of drivers for nearly 50 years. Even though it’s just an ‘ordinary’ car, it’s always been considered an attractive car. The history of Ford Mustangs can be broken down into six generations, but we’ll only be discussing the first four. The first generation, defined as the period between mid-1964 and 1973, includes vehicles such as the classic Shelby Mustang lineup, Boss Mustangs, K-Code Mustangs, the “Bullitt” Mustang GT-390 Fastback, the original Cobra Jets, and all the other Mustangs most folks consider “classic”. The second generation (1974-1978) of Ford Mustangs was coined as the “Pintostang” generation. 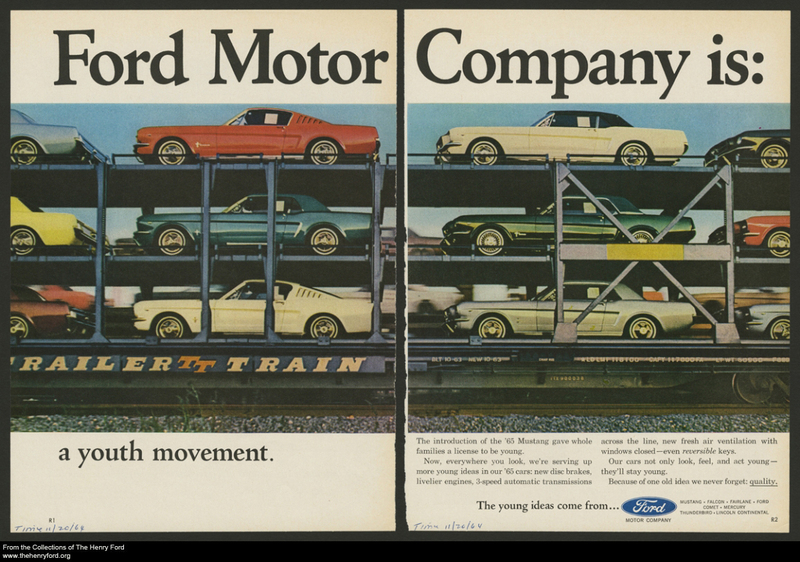 This is because the cars were based on the Ford Pinto platform. They were smaller and more fuel efficient, however they were considered too small, underpowered, and ill-proportioned by many potential buyers of the time. The third generation (1979-1993) improved, as it encompassed more years than any other generation in the history of the car. Coined the “Fox Body” Mustang, this car was based on the Fox platform. This generation of Ford Mustangs was also known for its powerful 5.0L V-8 engines. The fourth generation, and the last generation that Ford Mustangs that can be considered “classic” until 2019, started with the introduction of the SN95 Mustang. This generation of Mustang, which lasted from 1994 until 2004, produced a car that was based on the SN-95/Fox4 Platform, and was larger than the previous generation. This car was engineered to be stiffer in design that past models. In 1996 the popular 5.0L engine was replaced with a 4.6L modular V-8 engine. This generation spawned the “New Edge” line of Mustangs in 1999. Although the cars looked different, they were still based on the SN-95 platform. Whether you own a classic Ford Mustang or any other type of classic or antique car, it’s important to protect it financially with the right type of insurance coverage. At Condon Skelly, we know how exciting it can be to start a classic car collection. We’ve been helping our customers protect their classics with affordable, industry-leading insurance coverage since 1967. We’re a group of collectors, enthusiasts, and professionals who specialize in insuring all types of collector vehicles. For more information, please contact us today at (866) 291-5694. The 1964 Pontiac GTO was a car with ‘attitude’- a bigger V8 than previous cars, hood scoops, dual exhausts, a Hurst shifter, racy trim, and a name inspired by the Ferrari 250 GTO. 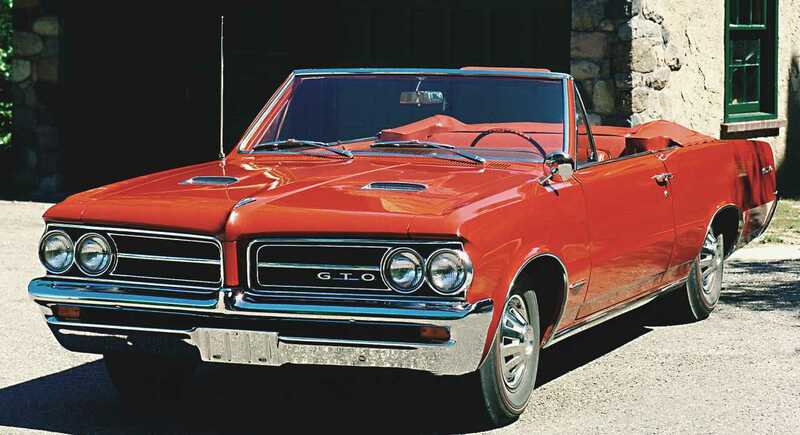 The moment that the ’64 Pontiac GTO went on sale is often credited to be the start of the classic “muscle car” era. This car came three ways. There were the expected sporty-car styles of the day, a convertible, and a two-door hardtop. There was also a coupe with a fixed B-pillar, which Pontiac called the Sports Coupe. The Sports Coupe was 20 pounds lighter than the hardtop and 150 lighter than the convertible, with the lowest starting price of all the models, making it the most popular. The basis for the first 10 years of GTOs was GM’s “A-Body” platform, upon which midsize care for every General Motors marketing division except Cadillac were built. In 1964, that meant the A-Body chassis was found under the Buick Skylark, Chevrolet Chevelle, Oldsmobile Cutlass and Pontiac Tempest lines. Sportier versions of each of those cars were available with small (for the time) V8 engines, but only Pontiac dared to install a truly large V8 in its Tempest in ’64, and when a Tempest had a 389-cubic-inch V8 under its hood, it was a GTO. The GTO package included the 389 V8, quick steering, dual exhaust, and premium tires. The 389 cid engine came with 325bhp with a single 4bbl carb or 348bhp with the optional Tri-power setup, 3 2bbl carbs. While Pontiac hoped to sell 5,000 copies, they ended up selling 32,450 of them. Whether you own a GTO or any other type of Antique or Classic Car, we can insure it at Condon Skelly. Since 1967, we have been helping our customers protect their classics with affordable, industry-leading insurance coverage. We are a group of collectors, enthusiasts, and professionals who specialize in insuring all types of collector vehicles. Please contact us today for more information. Unlike other automobile companies of its time, the story of Bugatti is not that of a company that had to face countless financial problems, nor is it one of a company who had to rely on establishing sales venues or building plants across the Atlantic. 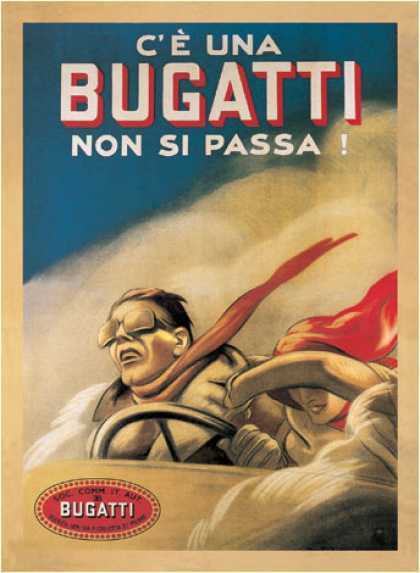 Instead, the story of the Bugatti is that of a young visionary who came from a long line of artists and artisans. Born in Milano, Italy in 1881, Ettore Bugatti was on a path to become an artist, however decided to become an engineer when he was just 17 years old. At this time, the young Ettore Bugatti started working and in only one year, he had designed and built a three-wheeled vehicle powers by two engines. Despite its small size, this prototype almost wiped clean the prized thrown in at the local races, having won an amazing 8 out of 10 events. By the age of 19, he had just completed building his first real car. Considering the overall technological development at the time (in the beginning of the 1900s) his automobile seemed almost futuristic. The auto featured a four speed gearbox, a four-cylinder overhead-valve engine, and a variety of engineering improvement that only a gifted builder could have come up with. In 1911, Ettore Bugatti decided to build a small, lightweight racing machine to compete in the Le Mans race. Although it was a tiny can in comparison to its giant competitors’ cars such as Fiat, De Dietrich and others, the small but swift and powerful automobile came in second, proving that Ettore was a more talented car designer than many of the older engineers at the time. In the following years, Ettore Bugatti had many more automobile victories, with his last great one happening in 1939, when at his son’s request, the company prepared a supercharged Type 57 which won at Le Mans. Unfortunately, also in this year, his son passed away during a testing run of the same Type57 car, and a few days later World War II broke out. Given these circumstances, production of the Bugatti was halted. After the war, several attempts to revive production were made, but there was never a distinctive result. German car maker Volkswagen took over the company in 1998 in an effort to revive the sports luxury brand, and maintains ownership of the brand today. Whether you own a Bugatti or any other type of classic car, it’s important to protect it financially with the right type of insurance coverage. At Condon Skelly, we know how exciting it can be to start a classic car collection. We’ve been helping our customers protect their classics with affordable, industry-leading insurance coverage since 1967. We’re a group of collectors, enthusiasts, and professionals who specialize in insuring all types of collector vehicles. For more information, please contact us today at (866) 291-5694. When it comes to classic cars from the 1950s, glitter was good, bigger was better, and too many accessories were just right in the age of neon. So it was only natural that when the 1957 Cadillac Eldorado came around, automaker Harley Earl’s styling team pulled out all the stops. They contributed multiple new ideas, including four-door hardtop sedan bodywork, with side windows that disappeared completely, frames and all. The car also featured rear-hinged rear doors, a throwback to the 1930s, and a broad, sparkling brushed stainless steel roof. Another great feature of this classic car was the list of power accessories. The trunk lid and rear doors not only opened with a push of a button, but they closed with one too, and the doors would lock automatically when the transmission was put in gear. This car was so fully-equipped that even the glove box came filled, which was perhaps this car’s most distinguishing feature. No other classic car included a lady’s vanity case with a compact, powder puff, comb and holder, lipstick and coin holders. In addition, the glove box held six drink tumblers, a tissue dispenser, and a cigarette case. The rear seat armrest was equipped as well, opening to reveal a notepad and pencil, a mirror, and a perfumer atomizer, which came with a complimentary ounce of Arpege by Lanvin. 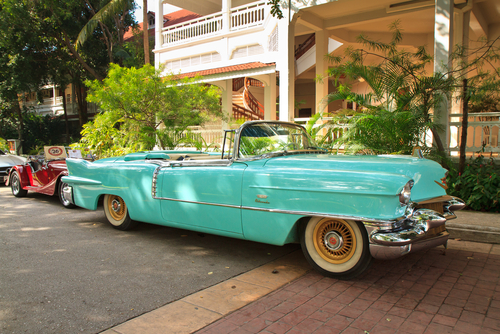 The Cadillac Eldorado was originally only offered as a convertible, but in 1956 Cadillac decided to extend the Eldorado product line to include a coupe, for which they chose the name “Seville” to distinguish it from the convertible, which because the “Biarritz”. The “Brougham”, a sedan, was another model introduced this year. 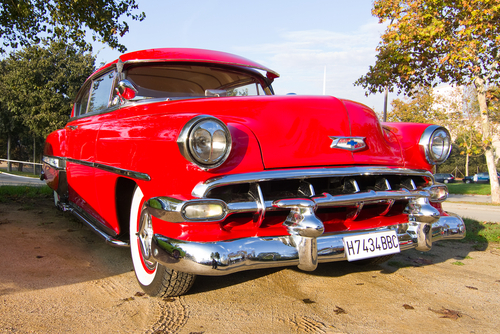 Whether you own a 1957 Cadillac or any other type of classic car, it’s important to protect it financially with the right type of insurance coverage. At Condon Skelly, we know how exciting it can be to start a classic car collection. We’ve been helping our customers protect their classics with affordable, industry-leading insurance coverage since 1967. We’re a group of collectors, enthusiasts, and professionals who specialize in insuring all types of collector vehicles. For more information, please contact us today at (866) 291-5694. The 3048 Brough Superior motorcycles that were produced from 1919 through 1940 were known as the “Rolls-Royce of Motorcycles”. George Brough was a racer and designer who created high performance motorcycles, and he manufactured motorcycles and cars with the Brough Superior signature during this time. Each bike was designed for an individual customer, being assembled twice. It was assembled once to fit the components and after that to paint all the parts as the customers preferred. In order to create the perfect bike, each machine was test ridden to make sure that its performances were at high level. Due to the reputation of perfection and because of the high price, if a Brough Superior bike had any chance of failing a performance test, it was taken back to the shop. These motorcycles have always been rare, expensive, and preferred by many celebrities. The bike is still desired by a lot of motorcycle collectors, and is known as a legend in the motorcycle world. It’s a motorcycle that is known for the highest level of quality, innovation, and design in its product. 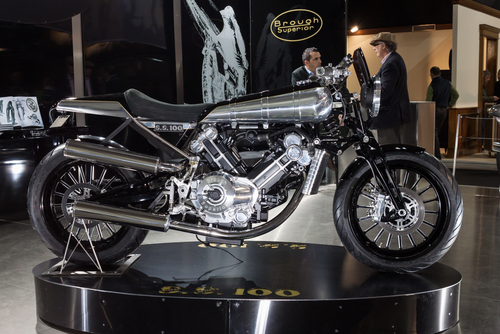 Although you will see Brough Superiors today, with 2014 unveiling their SS100 high performance luxury bikes, many collectors agree that there is nothing like the classic bikes from the early 1900s. 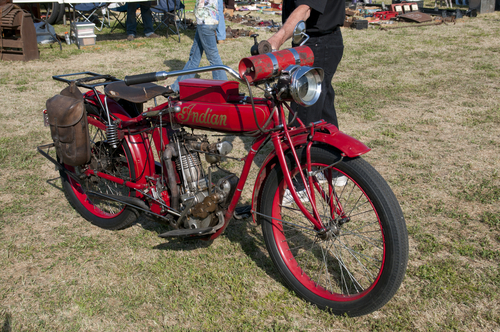 Whether you own one of these bikes or another type of Classic Vehicle, we have the insurance products you need to protect your Vintage and Antique Cars and Motorcycles. Contact Condon Skelly today for more information about the coverages we offer.